Important mechanism in plant immunity decoded. Similar to humans and animals, plants possess an innate immune system that protects them from invading pathogens. Molecular structures that do not occur in people, animals or plants enable recognition of these pathogens and trigger the immune response. Lipopolysaccharide (endotoxin) is one such substance, occurring in the outer membrane of certain bacteria. A team of scientists from Technische Universität München (TUM), the Leibniz Institute of Plant Biochemistry (IPB) in Halle and the Leibniz-Center for Medicine and Biosciences in Borstel has now described the first endotoxin immunosensor in plants. The scientists investigated the immune mechanisms of plants against lipopolysaccharide with the model plant Arabidopsis thaliana. Bacteria do not just attack people and animals, but also cultivated plants such as tomatoes, cabbages and rice – causing crop losses with significant economic impact around the globe. Plants are not defenseless, however. They possess an innate immune system equipped with various immunosensors that detect substances occurring only in microorganisms and trigger a defensive reaction. In mammals, for instance, toll-like receptor 4 (TLR4) detects lipopolysaccharide, which is also referred to as endotoxin and is the main component of the outer membrane of many bacterial pathogens. Since plants also mount an immune response to lipopolysaccharide, the assumption was that they too possess an immunosensor for this substance. The nature of this sensor was previously unknown. 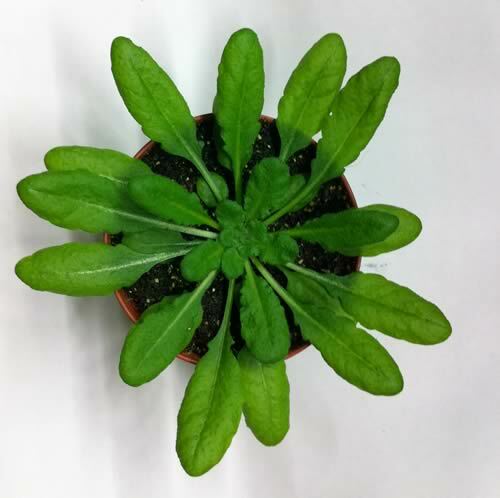 Now, though, a multidisciplinary team of scientists has succeeded in decoding the detection mechanism for bacterial lipopolysaccharide in the model plant Arabidopsis thaliana (thale cress). The search for the plant’s lipopolysaccharide sensor was complicated by the fact that the endotoxin does not consist of a single defined molecule, but of a complex mixture of similar lipopolysaccharide molecules. For that reason, it has also not yet been possible to synthesize it for testing. So the analysis, purification and chemical separation of components of the lipopolysaccharide at the Borstel research center was a key prerequisite for the genetic and biochemical plant tests at TUM and IPB. These tests allowed the scientists to determine which sensor Arabidopsis plants use to detect lipopolysaccharide. Their experiments showed that this function is performed by the LipoOligosaccharide-specific Reduced Elicitation (LORE) protein they discovered, which also initiates the subsequent immune response. However, LORE differs in its composition from endotoxin sensors in animals. So evolution has produced two separate instances of this detection principle, occurring independently in animals and in plants. The team was also able to show that, despite the different sensors, both animals and plants detect the same component of lipopolysaccharide: lipid A. In humans and other mammals, lipid A can trigger an excessive immune response with sepsis and septic shock as life-threatening complications. Interestingly, not all plants exhibit the LORE immunosensor – only crucifers. In addition to Arabidopsis, this family includes important crop plants such as brassica, mustard and rapeseed. However, the scientists also found that the sensor retains its function if transferred into other plants. It could therefore serve as a tool for researching and producing plants with improved resistance to bacterial pathogens, the scientists say. These efforts were supported by the German Research Foundation (DFG) under special research project 924 and priority program 1212.